I was in eleventh grade when I first discovered The Eighth Day of Creation, Horace Freeland Judson’s wonderful, eloquent, deeply inspiring account of the history of DNA and the origins of molecular medicine. I’ve been hooked ever since. My choice of college was driven by the opportunity to study with many of the key players in the story – and sealed when a biochemistry department tour guide pointed to what he said was the exact centrifuge used in the famous Meselson-Stahl experiment. It was thrilling to learn about molecular biology, and even more exciting to become a molecular biologist, learning how to extract and recover DNA, how to splice it, and how to sequence it. I spent my first year in graduate school studying tumor suppressor genes, then found myself seduced by the elegant power of yeast genetics, and chose this area for my thesis research. When I returned to medical school and entered the clinic, I was surprised by what I discovered. While medicine is often regarded as applied science, I was reminded every day just how limited and fragile our understanding of health and disease really is. The molecular basis of illness often escapes us, and even in the relatively rare instances where the biology is well understood, a cure can be difficult to come by – consider sickle cell disease (considered the first illness defined at a molecular level), for instance, or cystic fibrosis. “Physicians and physician-scientists have become increasingly concerned with ensuring that the tremendous advances they have seen in basic science find expression in clinical practice. While an understanding of the genetic basis of disease allows us to consider the development of molecular therapies, we have learned not to underestimate either the magnitude of this undertaking or the extent of preparation required. Indeed, this endeavor is much more difficult than most have anticipated. In the fourteen years since this was written, our tools have changed, our computational power has improved exponentially, the volume and velocity of data have grown at almost unimaginable rates, yet the fundamental challenge remains the same: how can we translate promising science into improved patient care? More generally, how can we harness large data flows to improve the human condition? I believe this represents the central scientific challenge — and greatest scientific opportunity — faced by our generation. The starting and ending point for this vision must be patients. Data collected from a patient belong to the patient. With appropriate permissions and rigorous safeguards, these data can be shared in de-identified fashion, in effort to accelerate the sort of rapid knowledge turns Andy Grove has insightfully discussed, and that Josh Sommer of the Chordoma Foundation so poignantly described at the first Sage Bionetworks Congress. Genomic sequencing data represent a natural foundation, not only providing an essential “parts list” (as Eric Lander has nicely described it), a sense of what you are starting with, but increasingly providing dynamic visibility into important clinical pathophysiology, such as the evolving molecular characteristics of circulating tumor cells, or treatment-resistant bacteria or virions. I’m especially excited by the opportunities at the intersections of large data streams, loci that, like overlapping academic disciplines, promise to be especially rich sources of novelty and insight. DNAnexus represents a natural home for these aspiration, offering a compelling, secure, cloud-based data management platform, an enabling tool for any healthcare organization – academic medical center, healthcare system, biopharma company, payor – who recognizes that getting a handle on large healthcare data flows is rapidly becoming table stakes, and that figuring out how to manage and leverage genomic data is a wise place to start. I’m excited – and feel inordinately privileged – to join the DNAnexus team, and to work with passionate colleagues from throughout the healthcare system, in both the private and the public sector, and explore together how we can move from genome to value, from data to impact, from information to cure. 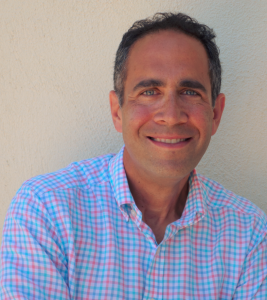 David Shaywitz, MD, PhD is the Chief Medical Officer of DNAnexus, and the co-author, with Lisa Suennen, of Tech Tonics: Can Passionate Entrepreneurs Heal Healthcare With Technology? (Hyperink Press, 2013). You can follow him on Twitter: @dshaywitz. Previous Previous: The First Publicly Available “$1000 Genome” Test Dataset! Next Next: At Stanford Medicine X: How Will Emerging Technologies Advance Healthcare?